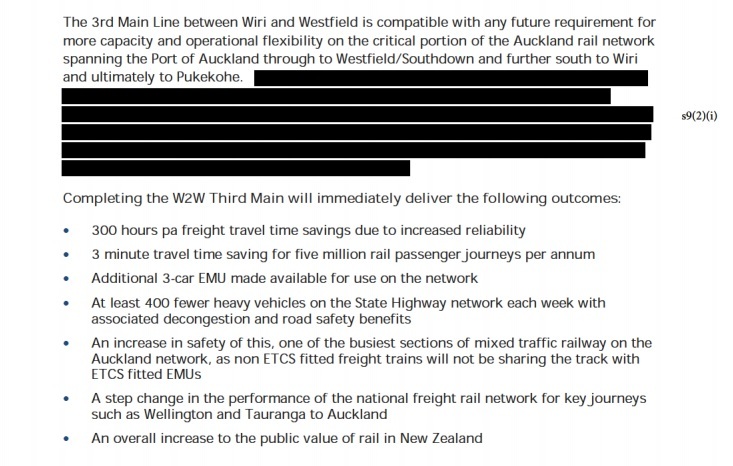 After the condemnation Transport Minister Simon Bridges received when it came out on TV3’s The Nation, and independent outlet The Spin Off that the Kiwi Rail business case had been heavily redacted Kiwi Rail have released a unredacted version just recently. 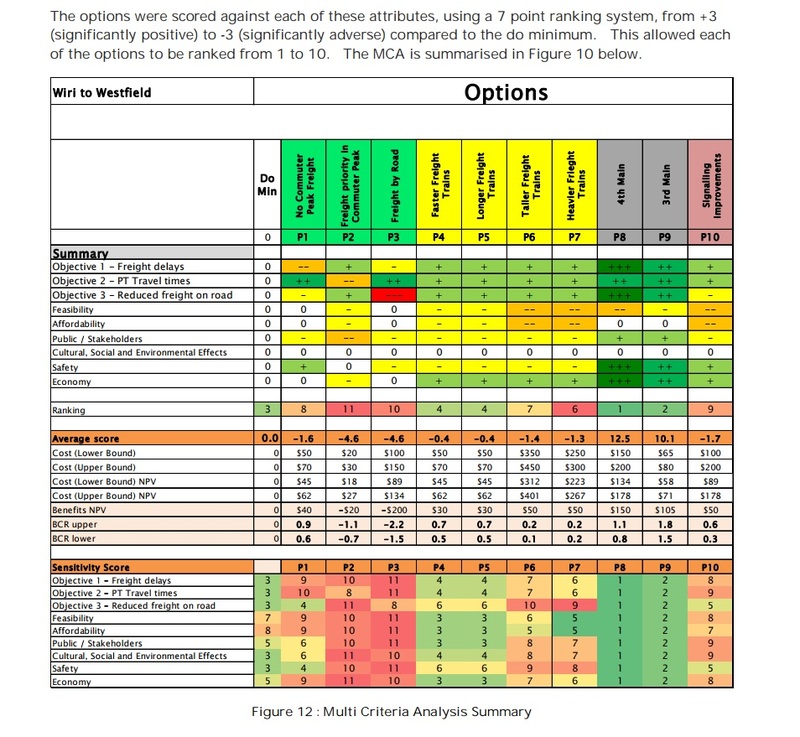 What was previously redacted was the Benefit Cost Ratio of the Third Main and surprisingly another option that even beat out the Third Main – the option for the Fourth Main! Meaning when the time for construction arrived both the Third and Fourth Mains would be built at the same time (garner maximum bang for buck now and 50 years into the future (meaning for once we were running infrastructure ahead of demand not behind as we have done traditionally)). The Third Main came out solidly in second place. The Fourth Main (meaning construction of both Mains at the same time) came out as the winner despite a low BCR (NZTA’s BCR’s are a tad hopeless measuring wider economic and environment affects both positive and negative). 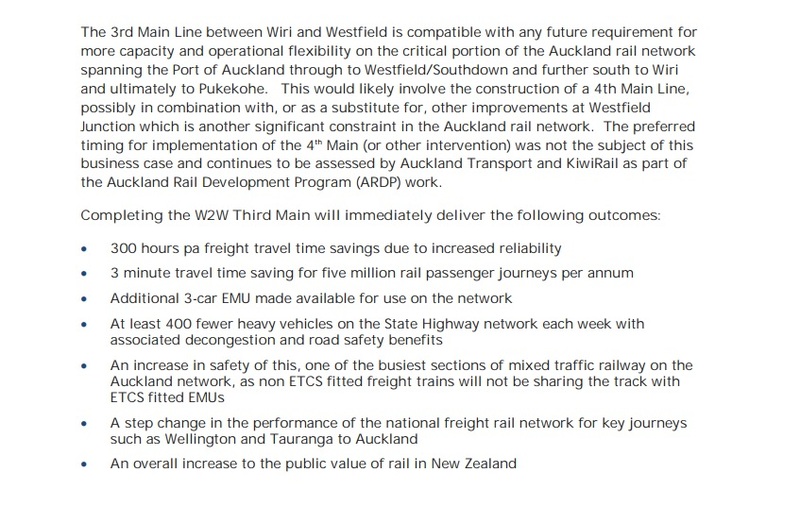 Any attempt to shift more freight by road via more HPMV 54 tonne trucks and/or widening the Southern Motorway carried a BCR of negative 2.2. Why the Transport Minister didn’t release the entire Third Main business case then as it is now I will leave to you to speculate. 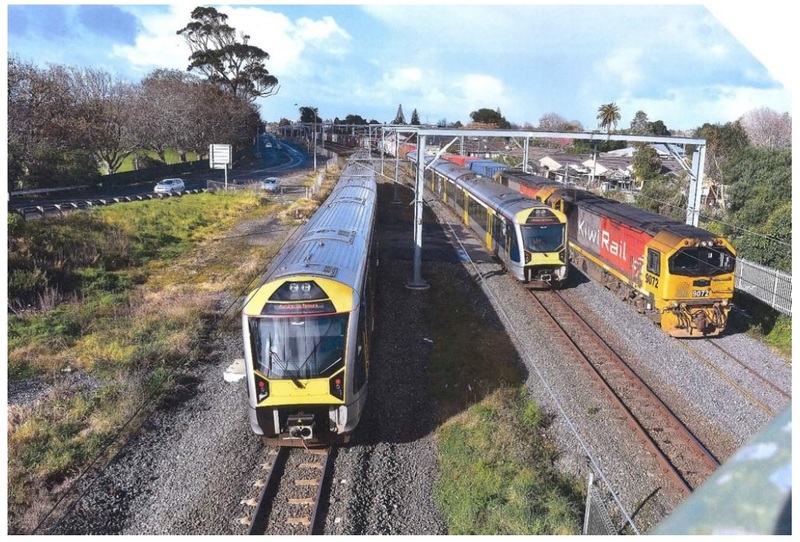 But Kiwi Rail’s recommendations had the Third Main with a BCR of 2.2 (the Fourth Main would sit around 2.8-3.0 when it factored the City Rail Link) and more specifically go all in and get both the Third and Fourth Mains built at the same time was made clear and the case solid.